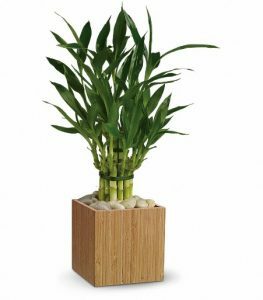 Now that spring has arrived, it’s a good time to think about adding more plants to your home and office to bring nature indoors with you and benefit from the healthy environment they create. The spathiphyllum plant features white flowers with long-lasting beauty and easy maintenance. 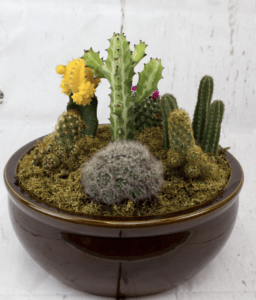 This is a 14-inch ceramic planter that overflows with a mix of colorful blooming plants and green plants based on what’s available at the time of order. 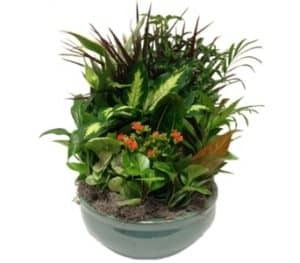 You can also choose a smaller size from the premium edition like large, which still provides a generous amount of green plants and blooming plants. There are also other smaller sizes to select from, including a medium or small ceramic dish option. Instead of a ceramic dish option, you can also get a garden mix of green and blooming plants that are arranged in a wicker basket. While this is a large size, there are smaller sizes to choose from. This basket gives you the best of spring in terms of green and blooming plants. This one offers a purple African violet, yellow begonia, pink kalanchoe, and white hypoestes arranged in a round basket. Come see what other plant options we have in our Rochester flower shop!